Where did you go to school ? 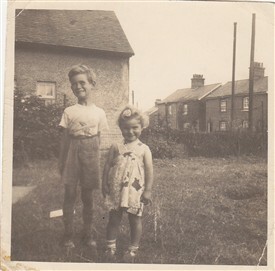 I was born in Rochford Hospital and we lived at 53 Weir Pond Road, Rochford. I attended Rochford Primary School and then the Rochford Secondary Modern (now King Edmund’s School). My dad was a painter and decorator and my mum worked as an orderly at Rochford Hospital, eventually qualifying as an auxiliary nurse. In all, I spent 21 years in Rochford and Hullbridge before moving to Maldon to take a job with the police. Because the same children went through primary and secondary school, we made friendships some of which lasted a lifetime. Rochford Primary School then had big playing fields at the back of the school buildings, and I always enjoyed sports days there. One day, a bull escaped from a farmer’s field near Ironwell Lane and got onto the playing fields. Fortunately, it was recaptured safely. Rochford Secondary Modern opened in September 1961 and I was among the first intake. We had Mr French for Geography and History. My best memories of school were the camaraderie with classmates rather than lessons, though! I joined the Life Boys (in the congregational church in North Street) and then went on to the Boys Brigade before joining the Army Cadets (until I was 15, when I left school). When I left school, I got a job labouring in Southend and worked on the construction of Coleman House. I got married in June 1971, after which my wife and I lived in Westcliff and then in Leigh. In 1974, we moved to Hullbridge where a worked as a digger driver and general labourer. An industrial accident made me rethink my career options and in the late 70s, I joined the police in Maldon. 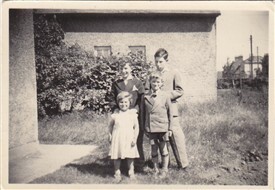 This page was added by Helen Barnard on 30/06/2012. Hi Len, long time no see. I went to school with Len. I have very fond memories of all those days. Lovely to see you in print. I too left Rochford Secondary modern School in 1956 and recall all those staff. I accidentally let off a firework whilst George Sime was cycling past with inevitable consequences. I was a gnome in a school operetta once! Fellow pupils included Brian Blackwood and Yvonne Pullen. My proudest moment was the publication of a wartime poem in the school magazine. I left Rochford secondary school in 1956. As I remember the School was opened in 1937. I do rember Mr French also George Sime, Mrs Pauly Harry Gorner, and the headmaster was Mr Geotge Wallis Cox. I also remember the Bickford twins. The other teachers names will come to me sometime soon.